With the hectic schedules that most families must accommodate on a daily basis, any calm in the storm feels like the perfect opportunity to unwind with technology. After balancing work, school, sports/dance schedules and every other commitment, vegging out in front of a screen just feels cathartic. The urge to grab the device is all too common, but relaxation doesn’t have to equate with technology. Now that the weather is warming up around the country, families should explore outdoor activities that encourage relaxation and provide a healthy outlet for kids. April is National Garden Month, and one of the easiest—and most relaxing!—outdoor activities for both kids and parents is planting a family garden. Gardening isn’t difficult, and families don’t need to be blessed with an inherent green thumb to successfully cultivate a garden. Parents should, however, research the types of plants and flowers the family wishes to grow and ensure that they are ideal choices for the area, the soil and the family’s commitment level. 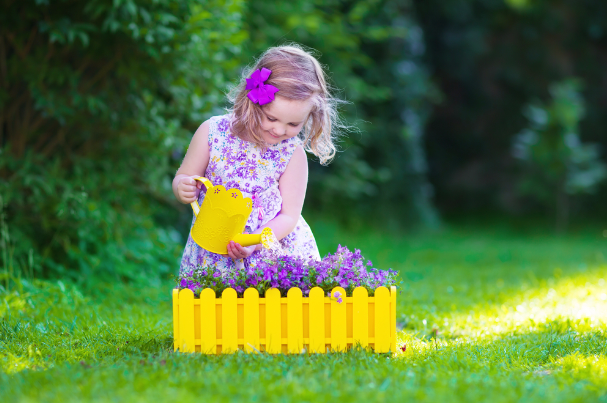 Kids who are tasked with watering the garden or even plucking out nutrient-leaching weeds gain a sense of responsibility. By allowing kids to take on an integral role in the family garden, kids learn that they are an important part of the garden’s growth and the end result. Through gardening, kids learn firsthand how the ecosystem works. By planting the seeds, they learn how the soil nourishes growth. As they dig, they may also discover worms and how these slimy creatures help the soil and plants flourish. Throughout the growth of the plants, kids will encounter pests that will prey on their plants and also friendly bugs that help keep the predators in check. Nature is filled with symbiotic relationships…and predators. Every creature has a vital role, and each role affects the system differently. A garden creates a microcosm of the larger eco world that gives children a peek into how all these relationships interact within nature. Growth begins with one tiny seed. Kids will learn firsthand how plants grow and change throughout their lifecycle. If the family plants vegetables or herbs, kids also can learn how to identify the right time to harvest. And, of course, they will have a greater appreciation for the veggies on their plates! Gardening teaches self-reliance. Growing produce or herbs and even flowers means that the family doesn’t have to purchase those items. Gardening is the ultimate DIY and the true illustration of ‘seed to table’! Kids reap the nutritional benefits of the fresh produce that the family harvests from the garden. Growing their own veggies or fruits also may help kids to make more nutritional food choices, as many studies have found that vegetable (and fruit) gardens encourage kids to eat fruits and/or veggies. Access to fresh foods is everything! Working in the garden is great exercise, too! Digging, planting and pulling weeds also involves fine motor skills. Accomplishing a goal feels great! Taking a tiny seed and nurturing it into a mature plant or a flowering beauty is an impressive achievement that builds self-esteem in the process. 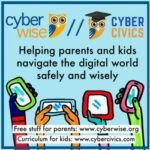 For kids who helped in the success of the garden, praise their work and take pictures of growing bounties and colorful blossoms. 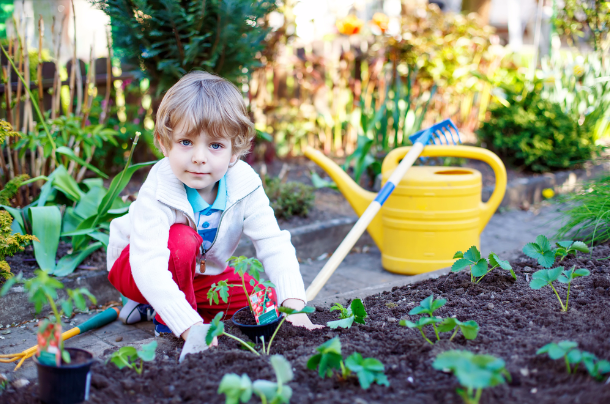 Prepare for National Garden Month in April by planting a family garden. Even a small garden teaches valuable lessons to kids about ecology, the life cycle, responsibility and their role in the big picture of a goal. 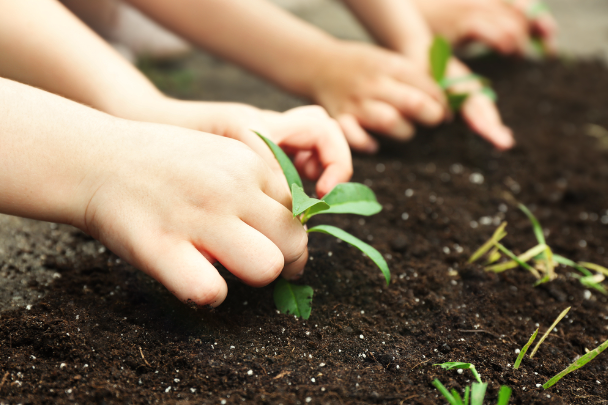 Whether the family grows succulents, herbs, flowers or fruits and veggies, learning to plant and maintain a garden will help kids grow into self-sufficient adults who appreciate the world around them.